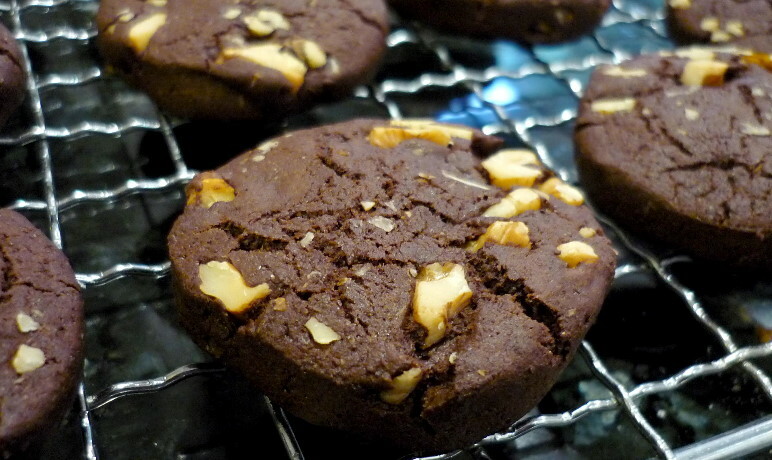 These are sort of like a Chocolate Toll House cookie, and are rather addictive. As with other cookies with this basic dough, adjust the baking time to get the type of cookie you want! Add the vanilla and the egg and beat for at least 3 minutes. Add the salt, then mix through the baking powder and flour. Fold the walnuts through and bring the mixture together into a dough. 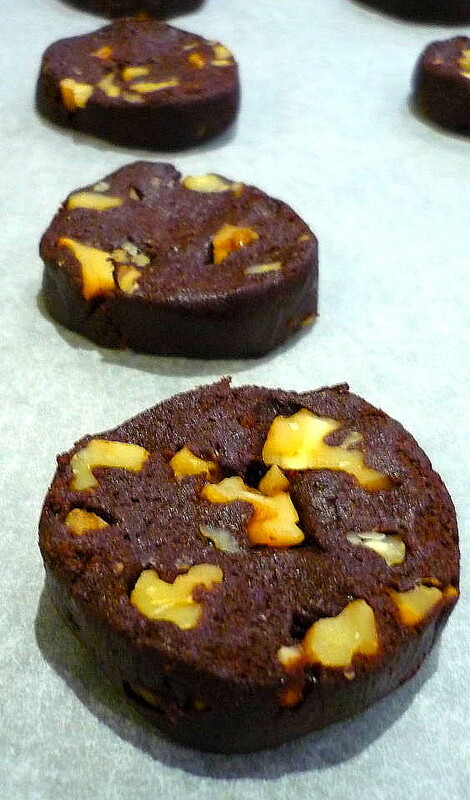 Once well chilled, unwrap and cut off generous discs of the lovely dark dough using a very sharp knife. Press the cookies flat with the back of a spatula.